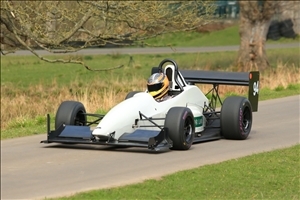 Force TAs dominated the 1100cc Class at the opening hillclimb of 2019 at Loton Park on March 31. 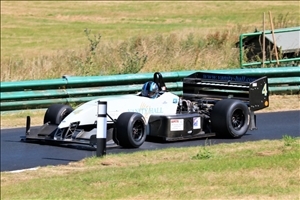 Darren Gumbley took his Kawasaki engined car to a good class win, 0.3s ahead of Eynon Price's Suzuki engined car. Eynon was giving his new TA its debut and, despite a gearbox problem, was most impressed by the rear end grip and traction. 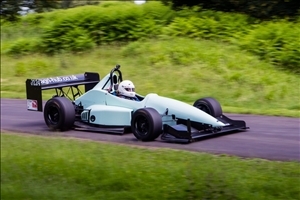 The CCC Racing team and their Force TA were chosen to take part in the Pirelli tyre company/Triple M Motorsport evaluation of racing tyres for the UK hillclimb and sprint market. 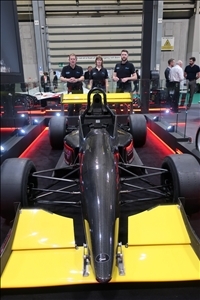 Following the successful conclusion of this program the Force TA (chassis 01) was put on display at the Autosport International motorsport exhibition at the NEC from January 10th to13th as part of the Pirelli motorsport stand. 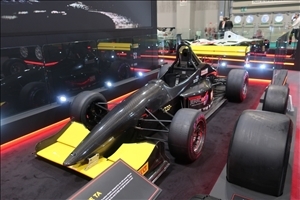 The Force was the only specialist hillclimb or sprint car on display at Autosport and attracted many admirers. 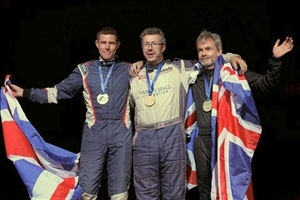 The third FIA Hillclimb Masters event was held at Gubbio, Italy on 12th to 14th October and Will Hall, driving his Force WH AER took the gold medal for Category 4 in a close fought battle with Scott Moran, Trevor Wills and Alex Summers. 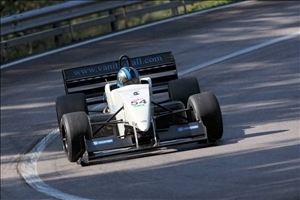 Will's winning margin was a couple of tenths and follows his second place silver at Eschdorf for the first FIA Hillclimb Masters event in 2014. 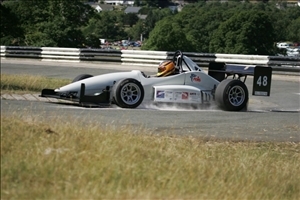 At the final British Sprint round of the year at Anglesey Chris Jones and Chris Bennett finished the year in fine style. 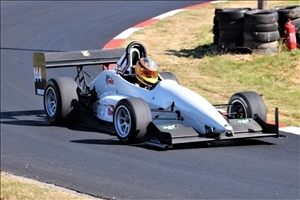 The Saturday event was held on the National circuit and Chris Jones in the Force TA took more than second and a half of the Class record and fnished sixth in the Run Off. On Sunday the longer International circuit was used and Chris Jones again broke the Class record and finished a strong fifth in the Run Off, earning himself a permanent number for 2019. Chris Bennett joined him in the Run Off and was pleased with his eleventh place. 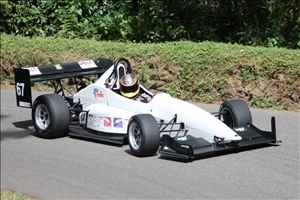 At Shelsley Walsh on September 15 Kelvin Broad made his debut in the brand new 1.3s Force TA having made the change from his Pilbeam MP101. A 27.87s first run was very promising. This is the fourth TA chassis to appear. 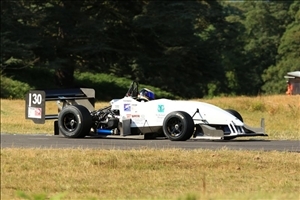 The British Hillclimb Championship moved north of the border to Doune. With the Championship still open a good result was essential. Will Hall certainly delivered with 2 wins. He has now closed to within 4 points with drop scores taken into account. 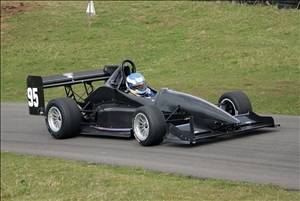 Ross Napier has won his 2nd successive Scottish Hillclimb Championship in his Turbocharged Force PC/Suzuki. Ross now holds the track records at Fintray and Forrestburn Hillclimb tracks and Golspie Sprint track. In another closely fought meeting Will was joint highest scorer at Prescott. Narrowly pipped by 1 hundredth of a Second by six times championship Scott Moran. On the 2nd timed run Will broke the unlimited class record. Despite Will's best efforts he couldn't quite catch Trevor Willis. 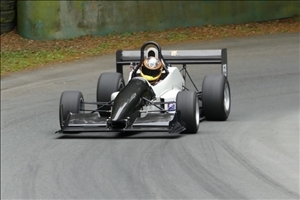 Making up for the disappointment at Rockingham the week before, Chris Jones and the Force TA took a fine FTD at Loton Park on August 25th. Despite a few problems including a problematic clutch, a likely carry over from the chain failure a few days earlier, Chris set the pace from the first practice and was never headed. 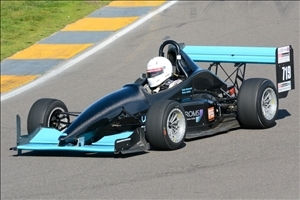 The only driver to post a sub 50s run all day, Chris was in the low 48s in practice and FTD was taken with a 48.49s. Chris Jones in the Force TA were on great form at Rockingham on Sunday August 19th and a major upset was on the cards until a broken chain called a halt to further progress. Held on the inner, National Circuit at Rockingham this was maybe one of the last Sprints to be held at the recently sold venue. Chris was on a flyer (a likely top three overall time) on his first run when the drive chain broke going into the final corner and he had to coast to the finish. But his 55s run was still good enought to easily win the 1100cc class and qualify for the Run Off which unfortunately wasn't to be as there was too much damage to repair. A missed opportunity for a great result. 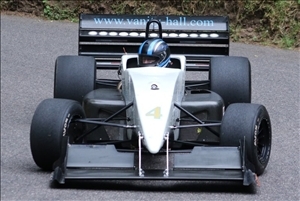 Will Hall in the Force WH/Xtec made up from the disappointment of Wiscombe Park by taking both runoff wins at Shelsley Walsh. In the first runoff Will was joined by 2 Force TA's Olivia Cooper in her 1st ever runoff just failed to score a point. 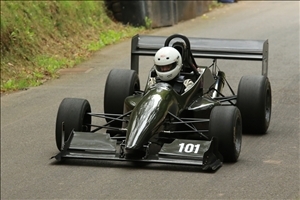 Darren Gumbley scored the last championship a remarkable result for an 1100cc car at Shelsley Walsh. 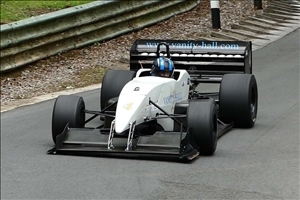 At Loton Park on August 4th, Tina Hawkes driving her Force PC, took an excellent FTD with a 49.13s run ahead of Graham Wynn's Gould GR55. 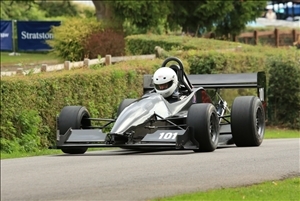 The British Hillclimp Championship meeting at Wiscombe on July 29 started out fine (when the accompanying Nigel Cole photos were taken) but the conditions quickly deteriorated. As Jerry Sturman reported "Championship contender Will Hall was having extreme difficulty in getting the turbocharged Force WH-AER off the line in the wet conditions that had prevailed all weekend. His times suffered as a consequence and he could only finish seventh and eighth, his points deficit to Willis now amounting to 37". In the difficult conditions the smaller and more nimble 1100cc class cars went well and Darren Gumbley again made the Run Offs scoring a ninth and eleventh in the Force TA. Following the disappointment at Bouley Bay, Will Hall made amends at Le Val des Terres on July 21st by taking the Force WH to a win and third place in the two Run Offs and to close the gap on the championship leader, Trevor Willis, to 26 points. 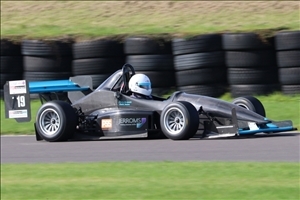 Darren Gumbley (1.0 Force TA) was again on fine form, scoring an eighth and a ninth, now really beginning to exploit the potential of the car. Darren was followed on both Run Offs by Andy Bougourd in the 1.6 Force PT for another pair of good results. 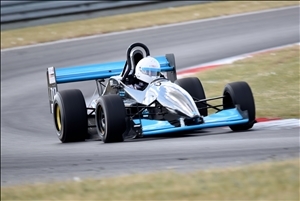 The British Championship headed to Jersey for some sea, sun and fast times and Darren Gumbley and his Force TA didn't disappoint with 9th and 8th places in the runoffs with some amazing times, in the 2nd runoff he was just 1.79sec away from the winning time in an 1100cc car!! Andy Bougourd finished 8th in the first runoff as well in his Force PT Hayabusa. Unfortunately it wasn't all great news... Will Hall qualified 2nd for the 1st Runoff but a broken gear sidelined him for the rest of the day which is a big blow to his push for the championship. The second venue of the busy weekend was to the longest hill of the championship at Harewood. Basking in glorious sunshine times were quick and Darren Gumbley in his Force TA Kawasaki was once again in the runoffs with another pair of 9th places. Just as Darren is getting to be a regular sight in the runoffs it was Will Hall once again fighting for the win, He missed the win by 0.01sec in the 1st runoff and once again finished 2nd in the 2nd runoff. 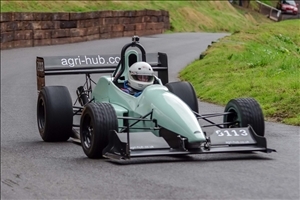 Barbon Manor was the 1st stop of the weekend for the British Hillclimb Championship. 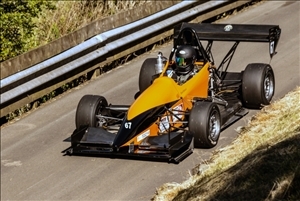 Yet again Will Hall was fighting for wins and scored two 2nd place finishes to further secure his 2nd place in the British Hillclimb Championship. 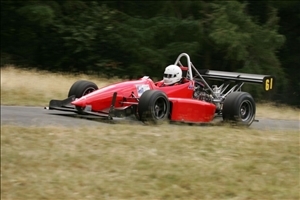 Chris Jones (Force TA at Snetterton) and Jack Cottrill (Force PT at Doune) made British Sprint and British Hillclimb Run Offs over the week-end 23/24 June. 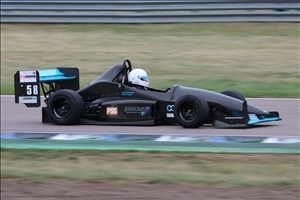 Chris Jones was tenth in both Brisitsh Sprint Run Offs while Jack Cottrill was eleventh in round 14 of the BHC - both cars running Cougar Engineering Suzuki GSXR engines. 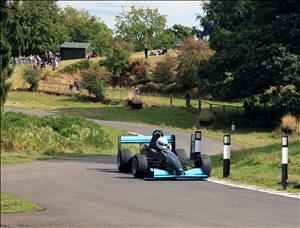 The British Hillclimb Championship visited the daunting Doune Hillclimb for rounds13 & 14. Will Hall continued his strong season with 4th in the 1st runoff and in the 2nd was up on Trevor Willis until a wheel on the grass cost him precious time and he had to settle for 2nd place. Special mention must go to Jack Cottrill who qualified for his first ever runoff in his Force PT. Olivia Cooper broke the Ladies Hill Record with a time Of 48.04 secs in her new Force TA a remarkable result for only her 6th outing in the new car.This was more than half a second better than Tina Hawkes (also in a Force!) old record.